Here is a quick and easy copycat restaurant recipe for California Pizza Kitchen's Santa Fe Chicken pizza. 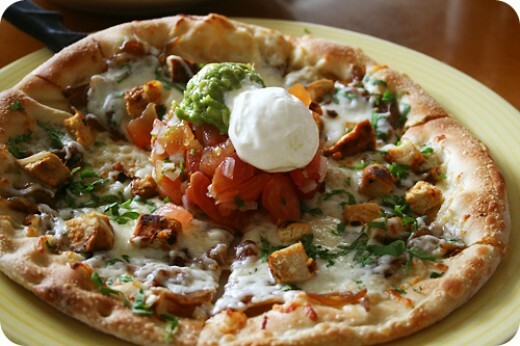 This pizza has marinated chicken, onions, mozzarella cheese and cilantro and is served with tomato salsa, sour cream and fresh guacamole. Read on to find out home to make this dish at home using simple ingredients and limited cooking skills. 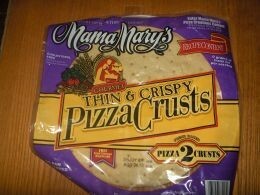 For this pizza I used a thin prepared pizza crust that I found at Walmart for less than $2. Boboli also makes a nice shell that would work well with this pizza. I have found that I've never had much luck at making homemade pizza dough. Preheat oven according to crust directions. Shred 2 cups of rotisserie chicken in a small bowl. Drizzle in the Lawry's marinade to coat the chicken. Brush the pizza shell with olive oil. Scatter the chicken over the shell. Garnish hot pizza with salsa, guacamole, sour cream and cilantro. Pizza is one of the most amazing foods in the world. Every age of people love to eat this. It’s now one of the most desirable foods to eat to satisfy his cravings. In the market there are available every kind of pizza according to lovers.